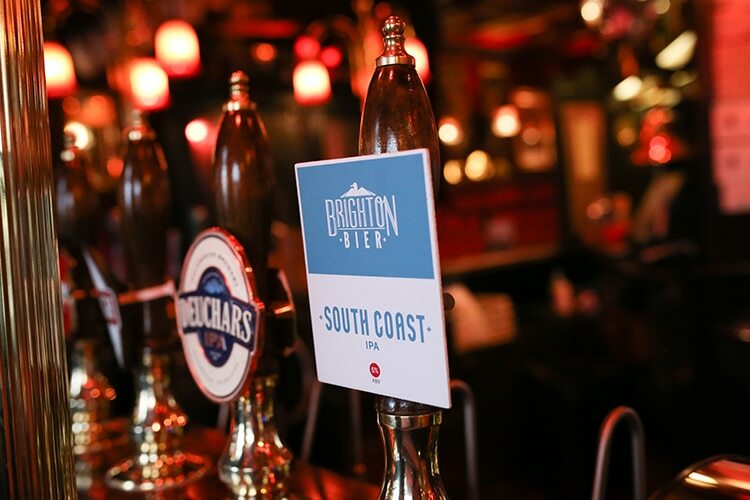 Situated near the seafront, The Cricketers stands right in the heart of Brighton’s iconic Lanes. If you were to just happen to go past and wander in off the street expecting your average pub fare you would be in for a pleasant surprise. 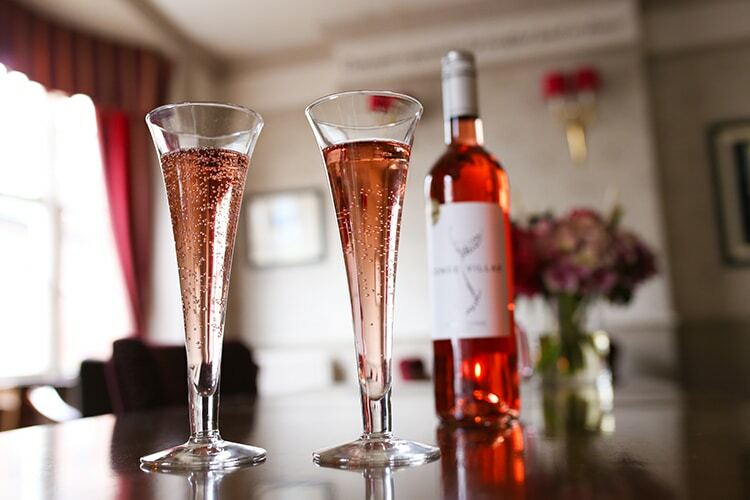 The talented chefs at The Cricketers pride themselves on using the finest British produce and are passionate about animal welfare, using only traditionally-farmed, free-range meat and eggs, and sustainably caught fish. 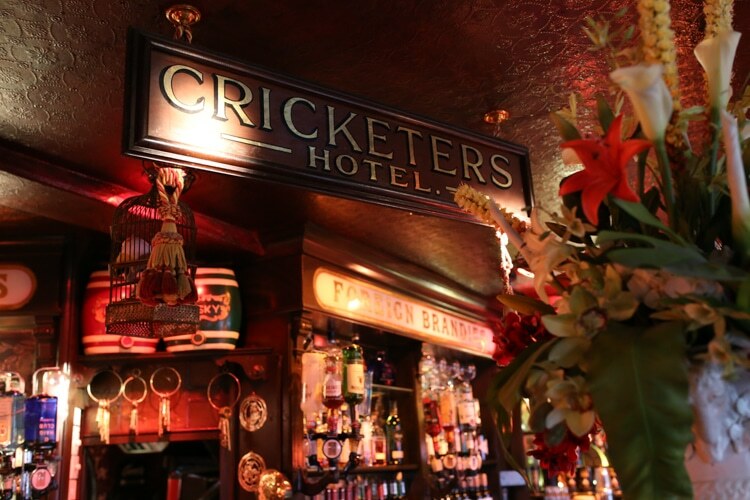 Aside from the excellent food, the Cricketers is worth a visit for its history and unusual décor alone. 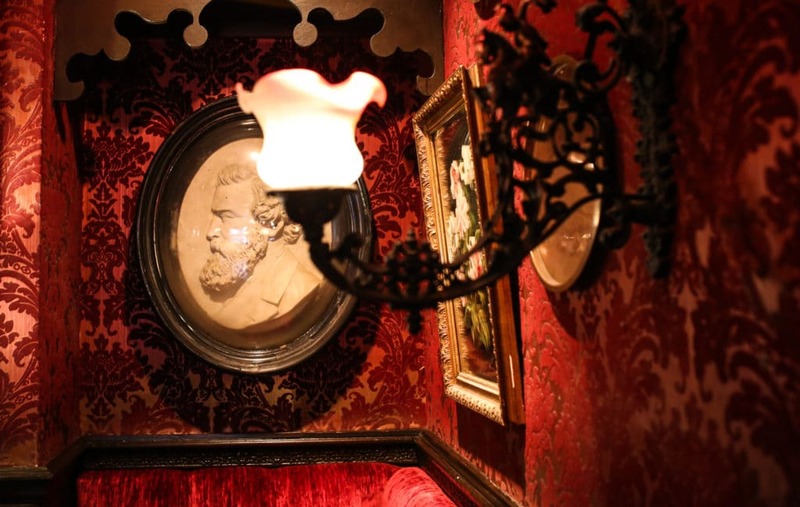 It is a pub out of time, full of mad, eccentric Victorian splendour. There has been a public house in one guise or another on this site since 1547 and it claims to be the oldest pub in Brighton. Immortalised by Graham Greene in the classic novel Brighton Rock, this is also the place where Jack the Ripper is said to have planned his gruesome murders! Fittingly, everything inside the pub is blood red, the carpet, upholstery, flock wallpaper and even the ceiling. There are bizarre collections of wacky knickknacks everywhere you look, including chamber pots, antique rifles, and brass dust-pans. Spooky old black and white photos of po-faced Victorians cover every free surface, including the ceiling, and a century old mounted stag head completes the look. The net effect is that a hundred ghostly eyes follow your every move. There are several distinct areas within the pub. Beyond the main bar is a room decked out like an old train carriage, with windows, framed by heavy red velvet, gold tasselled curtains, looking out onto the cobblestoned courtyard. The courtyard is itself is divided into a small, bright and airy, plant-lined conservatory and a beautiful, classic, oak-beamed dining room. The Cricketers offers a vast range of real ales, which are kept to Cask Marque standard, along with an extensive wine list and, if you’re off the sauce, fair trade coffee from Brighton’s own Roasted Coffee Co.
Andrew went for a pint of South Coast IPA by Brighton Bier, “Brighton’s original craft brewers, proudly 100% independent and 100% brewed in the city”. A refreshing, tropical, fruity but full-on IPA made with four different hops. A creature of habit, I went for a glass of Circa, a lovely, light, South Australian Pinot Grigio. For his starter, Andrew had his eyes on the braised belly of suckling pig with black pudding, fried hen’s egg and apple. Unfortunately, so did everyone else as they had sold out, so he ordered the fried chicken wings with celery & fennel ‘slaw instead. He was brought a black slate piled high with golden, crumb-coated chicken pieces with a healthy dollop of glossy white coleslaw and a token sprig of greenery. He was not disappointed, it was essentially a classy take on southern fried chicken and was proper comfort food. The coating was good and crunchy and very well-seasoned and the chicken was tender and succulent. Personally, I’d rather eat socks and wasp larvae than celery and fennel (sorry chef, entirely my hang-up), so I wasn’t overly looking forward to trying the coleslaw but in fact, I found the flavours fairly subtle and texture was lovely with the crunchy vegetables smothered in silky smooth mayonnaise. I am sure if you’re a fan of fennel and celery you would have been utterly delighted and Andrew was happy, which was the main thing. I chose to start with the line-caught cod, chilli & coriander cakes with shredded autumn vegetables and chilli jam and it was delicious! I got two fish cakes with a crisp, golden coating and a salty, meltingly soft, moist centre packed with delicate flaky fish and heady with huge amounts of gorgeous, aromatic coriander. Together with a sweet, lightly spiced chilli dipping sauce it was heavenly and the crunchy fresh side salad provided a great palate-cleansing contrast. For his main Andrew went for the Barfields garlic & fennel sausages with mustard mash, ale & onion gravy, winter greens and crispy onions. The pictures really don’t do it justice as the red spotlights we had unknowingly sat beneath gave everything a strange hue so you’ll just have to trust me when I say it looked a real treat. He was served three large, well-cooked, meaty sausages. The flavour was an unusual combination of aniseed sweetness from the fennel and pungent savoury garlic. The fabulous mash was strong with wholegrain mustard the gravy was thick and rich. The dish was finished with a handful of brilliant, paper-thin onion rings in a light, crispy batter. I was drawn to the burgers. All the burgers apart from the Highland Wagyu beef burger were included in a two for one offer but as Andrew was having something else anyway, I decided to treat myself to the Wagyu. There were a whole host of exciting optional extras like Charcoal Cheddar, Brighton Blue, chorizo and black pudding but I decided to go for the classic mature cheddar and smoked bacon combo. My stacked burger arrived on a wooden board along with a little frying basket overflowing with enticing-looking chips. The chips had been twice cooked and were fantastic, really crunchy on the outside but soft and fluffy in the middle and perfect with just a light dusting of salt. The Wagyu burger itself was succulent, rich and buttery and made all the more decadent by the addition of oozing cheese and thick, smoky bacon. It all came packed into a brioche bun with crisp gem lettuce, creamy homemade mayo, juicy tomato, tangy onion and zingy dill pickle. It was absolutely scrumptious! For dessert, we decided to share a chocolate brownie and I’m so glad we did. Soft sweet, chocolatey sponge topped with gooey homemade marshmallow, which had been lightly browned on top. It was served with lush vanilla ice cream, fantastic caramel popcorn, more marshmallow in delightful little icing sugar dusted cubes, all drizzled with chocolate sauce. We sat making nothing but yummy noises until it was finished and fought over the last piece of marshmallow. Who knew homemade marshmallow could be so different from the shop bought, toast-over-an-open-fire variety?! I’m absolutely converted and am going to have to try making some at home. The service was great, welcoming and genuinely friendly, and the whole meal was fab!